Entries have closed, so let the voting begin! We have 18 entries in our holiday pajama contest, and now it’s your turn to select our three winners. You can see all the entries below. (You’ll need to visit the website if you are reading this in your email.) You can click on the text below the image to view the photo at full size. To vote for your favorite, click on the small heart icon you see in the upper-right corner of each entry. You’ll have only one vote, so make sure to make it count! Voting remains open through January 22, 2019. The top entrants each receive a prize. 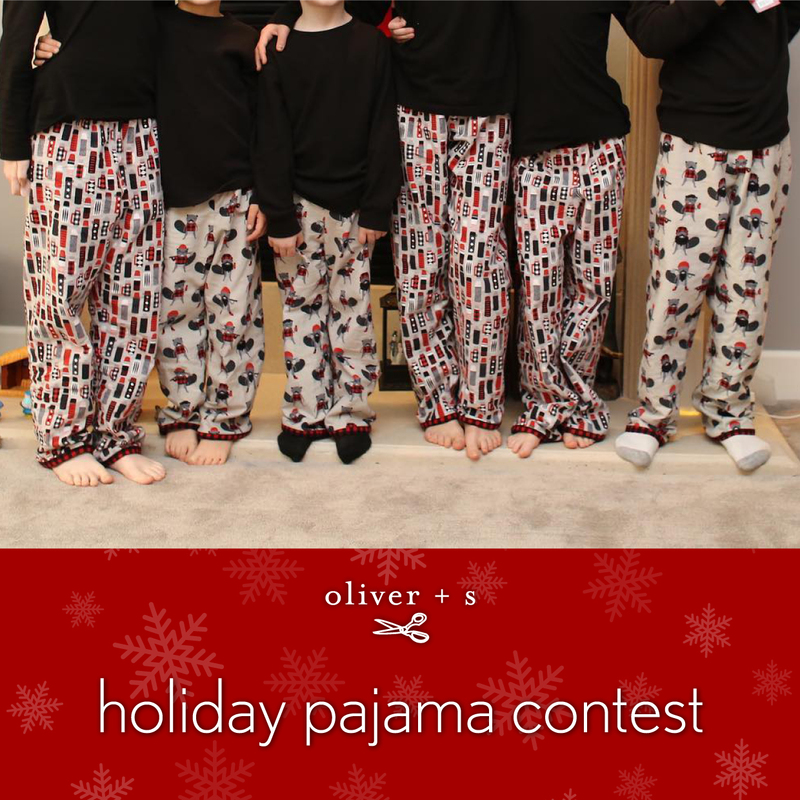 The photo with the most votes will get a $50 Oliver + S shop gift certificate. The second highest vote recipient will receive a $25 gift certificate. And the top three vote getters will all receive a copy of Hillary Frank’s new book “Weird Parenting Wins: Bathtub Dining, Family Screams, and Other Hacks from the Parenting Trenches” which is out today and is available on Amazon. Sorry to say, but once a vote is cast it can’t be changed.